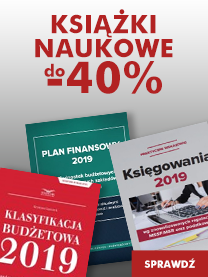 The foregoing monograph is the first to present the situation of the Polish judiciary after the reforms of 2015-2018 against the background of the international standards of managing the justice system and in the context of regulations and models adopted in other legal systems. The publication contains papers by about twenty international and Polish authors (academics, judges of international adjudicating bodies, and local judges), which are an excellent commentary for debate on the direction and rationality of the ongoing changes in Poland with respect to court management and the legal and systemic guarantees of the judges' status. "The subject matter of this collection gets to the core of the problems which the Polish judiciary contends with. First of all, one can find studies on judicial independence analysed from various points of view: related with the structure of the courts' system and their management (papers by Noel Rubotham, Stephen P. Anthony, Vittorio Fanchiotti, Henrik Engell Rhod, Artur Dionísio Oliveira) and the role of independent associations of judges (Nuria Díaz Abad, Gualtiero Michelini). The contributors also draw attention to the impact that the constitution and its interpretation have on respect for judicial independence (John McClellan Marshall) and to the participation of citizenry in the administration of justice (Aleksandra Karpińska). The papers provide an insight into the way in which proper operation of the justice system, judicial independence and its guarantees related with the appointment and irremovability of judges, as well as acceptance of their independent associations, are ensured both in the common law countries and those basing on the civil law tradition, including ‘new democratic' states." Prof. Piotr Hofmański, PhD habil.